The review is outstanding. BBC Music Magazine’s Choice CD of the month . 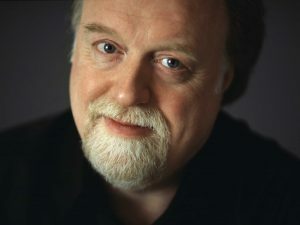 Acclaimed as one of the foremost pianists of our time for his musicianship, stylistic versatility and commanding technique, our Patron, Peter Donohoe gives us the rare opportunity to hear all Mozart’s piano sonatas, in a series of 4 concerts spread over two Saturdays. Your ticket gives you entry to BOTH concerts on the same date, with complimentary refreshments in between. Date of THIS event: 30 March 2019. The second of the events will take place on 18 May 2019. On the day there are two concerts; the first will start at 4:30pm and 7:30pm. Non-Champions: 2 concerts on one day £25.00; All 4 concerts booked together £44.00. Under 18’s £5 per 2 concerts per day. Select the *SPECIAL RATE* ticket option when booking for BOTH dates online through ticketsource to take advantage of our discounted price. Or Telephone Mary Smallwood 01934 852589 or info@churchillmusic.org.uk or take your chance at the door.